There are countless articles and books expressing how people can follow others leads on the road to success. While promotions and awards at work are benefits that motivate an employee, there are less obvious benefits to success in life that allow humans to learn, grow and have a fulfilling life. In fact, the more ambitious you are about your dreams and goals, the more help you might require to achieve this success. 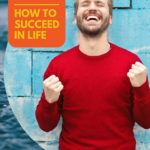 Success and how do you know you have reached it? What is the first step towards success? What obstacles will you face on the path to success? What did you learn through all this? This question is an important one to consider, even if it does not involve a career plan. It has been proven through studies it is those who have definitive goals in life that are usually the most successful. It’s not necessary that you figure everything out right away; you just have to identify what you want and plan to do. If you are just starting to set goals, narrow them down to three short-term goals that are attainable. Then you have to choose one goal out of the three that is the most meaningful to you and focus your attention primarily on that. The other two will fall into place, as long as you don’t make your goals too lofty at the beginning. To be successful in a career and in life, you need to term short-term goals into long-term goals. Without visualizing and understanding how you want to be successful, your personal journey to overcoming obstacles may not end up the way you’d hope. Many people have different perceptions of their individual success goals, and the amount of success they wish to achieve varies.For example, suppose that you plan to become a professional blogger. You may feel you have achieved success if you write 6 posts of 15,000 views or if you have a blog generating about $1,500 in monthly revenues. Even one view is better than nothing, so it’s important to give yourself some credit, rather than become discouraged if you do not instantly hit your target. Ideas are only a part of the process, so in order to generate thousands of views like you planned, you must put your ideas into action. Reaching your success is always different from one person to the next. There are various levels of success to strive for that make you feel proud. Whatever your idea of success may be, make sure the foundations of your dream are laid out. Brainstorming is key to gathering all the main elements of your plan. Without this vision, you may not know it when you reach success. You might not be able to assess how well you have achieved your success either. Now you have a game plan, you have to ask yourself what you need to become successful. You may think you do not have what it takes to become a professional blogger (for instance). You don’t have to panic yet; you can learn what is required as you progress towards your goal, especially if you ask colleagues or professional success coaches what your next step should be. It’s great if you can plan out your entire journey rather than trying to make decisions as you are trying to make progress. This might actually slow you down and cause more stress. As a blogger, you can collect all of your favorite articles, posts, and authors to decide what draws you to them and why you would read them. Or you could sign up for Word Press and getting your own domain name and blog. If the do-it-yourself method doesn’t work for you, you can always get help from a successful blogger, or read material on what worked best for other people. It’s natural that you might be faced with challenges while traversing on your path to success. While some may be easy to tackle, other can throw a wrench into your well-oiled think machine. However by learning how to handle these setbacks, you can stay on track and you learn to train yourself to anticipate these problems, without getting overwhelmed or intimidated. A common problem most people face is insufficient time, or not understanding how to plan out your day. If this is the case, you can overcome the problem with the right planning and follow a set timetable with sufficient time to help you overcome most of the hurdles that you might come across. All successful people reach their goals because they periodically reflect on their performances and outcomes. So on reaching your goal, it’s wise to think about your process from point A to point B. You can learn a lot about yourself this way, and understand how you think in terms of reaching your goals. Contemplate on any unexpected challenges you met along the way and how you overcome them. Look back and decide if you would have traversed the same path, or if you would have followed a different path with a second opportunity. By reflecting about your actions, you learn more about the different situations you had faced in life and learn how you can become better in life both professionally and personally. It has been proven that the human brain does not actually have to do something to learn. Rehearsing or reflecting behavior patterns helps you learn through the actual steps and mistakes you’d made in life. The key to attaining success if to always stay objective in your actions. Never run after money, status or power as many people fail in life just for focusing on the outcomes of life instead of the process of living. While outcomes tend to change, the process of life which involves thinking, acting and living happens all the time. If you’re unhappy with whatever you do, no money or power will help compensate for it. Your life only ends up stressful, boring and frustrating and achieving your goals will be difficult. Take your time to learn what matters most to you. Remember that success does not entail only money, power or prestige. You can gain all this but not get what you want; you may, in fact, feel happy without power, money or prestige. This is because success is based on the visions you have in your mind and not necessarily on creating a killer business or having a fancy, big salary job. Don’t base your success on others approval. It is natural that you want to please those you care about. However remember that even the most loving parent, success coach or friend cannot see what you want or what you dream about. This does not mean you should ignore their advice or reject a career path others suggest; it is always better to be committed with what you truly love in life instead of accepting something lesser just to get approved by others. Always be greedy for learning as there is no limit to learning. Nothing is better in life than a well-developed, well-stocked, broadened and enlarged mind. This is why no successful person is narrow-minded, stupid or bigoted. Instead, there is a long list of successful people who are recognized for their intelligence. This does not mean you need an expensive education to develop a great mind; lots of geniuses attained success through self-produced education. Do not run away from failure. Remember that you will always fail in life. In fact, the higher your aspirations, the more frequent and significant failure is. It is while you strive to reach the goals that you take up risks and may fail. So learn to treat failure as a friend and not enemy. If you treat failure as an enemy, you only end up abandoning your hopes and dreams and path to success. Treat failure as a friend which shows you what is wrong, and how you can do better at your tasks. Once you learn to be proficient at accepting all the lessons of failure, you find it much easier and faster to reach success. However, this does not mean you have to make repeated mistakes. In fact, to succeed in life, it is important that you always make new mistakes and not the same mistakes. If you make the same mistakes, it only means you have not learned what that mistake may teach you. Making mistakes also proves that you are always trying out something different. Always spend time with right people. The right people are not necessarily the rich and powerful movers and shakers of society. The best people are those whom you can learn the most about in life. These are people who have lead fulfilled lives and have become experts in life planning with open minds and open hearts. All these tips form the basis for a successful recipe in life. Follow these steps and you will be able to create a virtuous cycle of successes that train your brain to move forward the path to success.